Australia is one of the most popular tourist destinations. It may be the oldest land on the planet, but the buzzing restaurants, beach resorts, and the coastal cities have made it the place to be now. And the warm weather and laid-back culture are just like an icing on the cake. Today, we’ve rounded 10 of the best accommodations to stay in Australia. 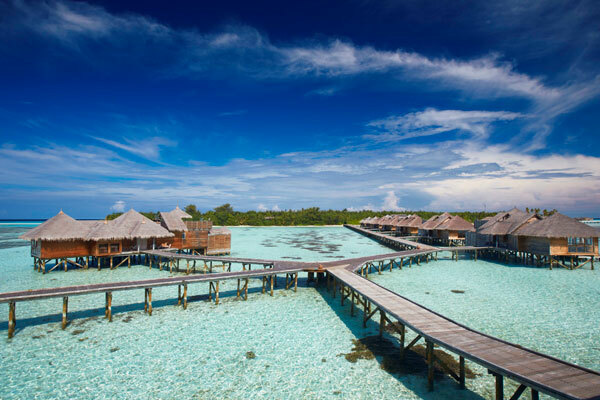 The article includes boutique hotels, romantic retreats, and luxury hotels. Located just opposite the Hyde Park, the Sheraton On The Park is one of the few hotels that occupy a prime position in Australia. The central location, along with the superb facilities make this hotel one of the most desirable hotels in Australia. The inn has superb 557 luxurious guest rooms and suites with contemporary styling. From the lofty heights of the Executive Club to the impressive grand entrance, this haven serves as the benchmark of the classic five-star hotels in Australia. You will be served the best dining delights at its signature buffet restaurant, Feast, The Gallery Tea Lounge & Conservatory Bar. The hotel also offers some of the best recreational choices. There is a spa here, along with a rooftop swimming pool and a health club. 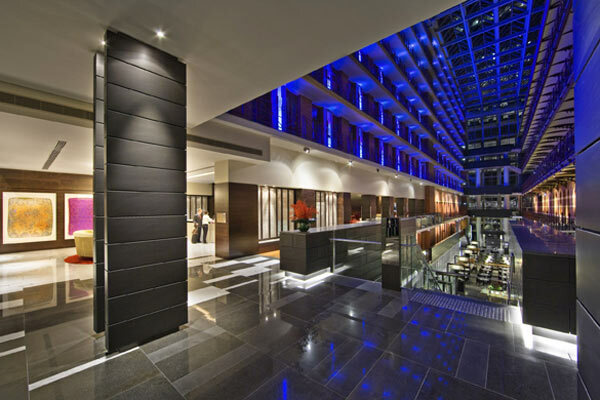 Sheraton on The Park also has the largest conference hotels in Sydney, Australia. The Shangri-La Hotel is the leading deluxe hotel in Sydney. It is located in the Rocks district between the Harbor Bridge and the Sydney Opera House. Shangri-La offers 563 spacious guest rooms and suites. Besides the superb location, Shangri-La Hotel also offers some of the finest dining experience. The Altitude Restaurant of Shangri-La Hotel is the award winning contemporary restaurant in Sydney. 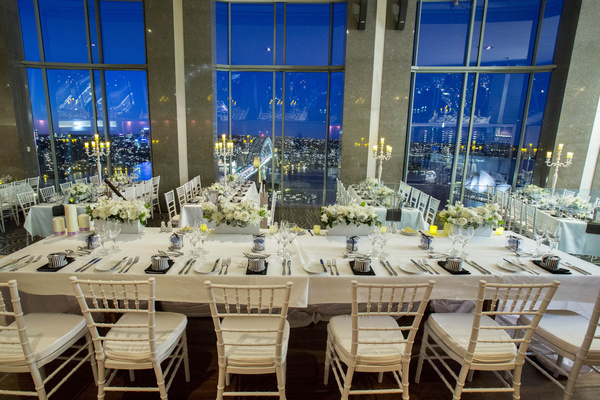 And the ‘Blu Bar on 36’ offers some of the most enthralling views of the city from level 36. Even the business and meeting facilities are extraordinary. So whether you are a solo traveler in need of the necessary commercial services or a company that wants to host a lavish event, the staff at Shangri-La Hotel is equipped to handle everything. The Grand Ballroom of the hotel is equipped with excellent state of the art video conferencing service, making Shangri-La Hotel a reliable hotel for demanding guests. Sofitel Melbourne, located at the end of the Collins Street, is one of the premier hotels in Melbourne. The hotel is a just a few minutes from the famous Melbourne Cricket Ground. 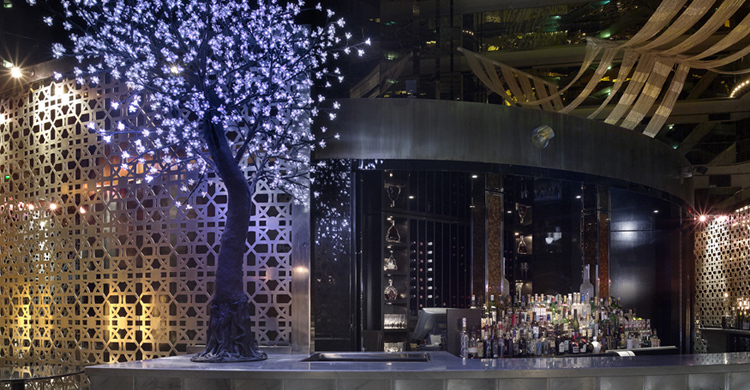 Sofitel Melbourne is an award-winning restaurant with 363 luxurious rooms. The rooms have floor to ceiling windows with breathtaking views. Here, you can enjoy fine dining in Café La. And if you want to experience the relaxed atmosphere, then visit Sofi’s Piano Bar. The hotel offers conference facilities that can accommodate up to 1,200 people with all the latest AV equipment. Bloomfield Lodge is one of the most luxurious lodges in the Australia. The lodge claims to provide nothing but the best for its guests. Whether you want to unwind or explore, Bloomfield Lodge offers all the opportunity to refresh your mind, body, and spirit and indulge in all your senses. Even the service of this lodge is incredible. The staff is friendly, warm and courteous. They will give you an attentive, yet unobtrusive service. And nowhere in the world will you find two World Heritage Sites side by side. There is Daintree Rainforest on the right side and the Great Barrier Reef just across the bay. You’ll find some of the most incredible plants, animal and marine life here, and right from the delicate orchids to red-cheeked parrots. Nature is at its most exuberant here. Sheraton Mirage Resort And Spa, nestled between the blue Pacific Ocean and Southport Broadwater, is an oasis of rare luxury. It is surrounded by 15 hectares of palm gardens, one hectare of the blue lagoon and the rolling surf. The Accommodation here ranges from simple, yet elegant rooms to elaborate villas. The suites are exceptionally luxurious. You can enjoy the stunning views while sipping wine. The restaurants of the resort ensure that the dining experience you get here is second to none. 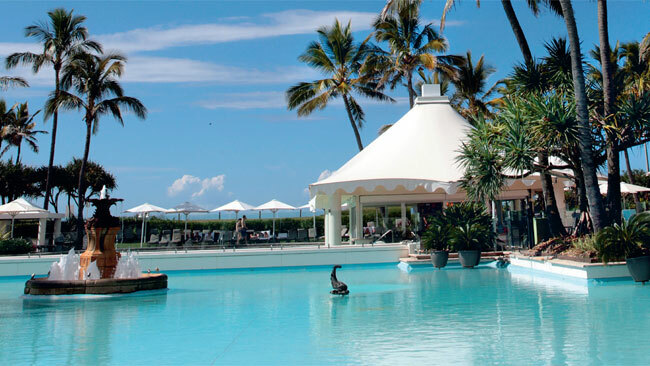 If you want to enjoy the seafood buffets, then head to the Horizon Restaurant, if you wish to have afternoon tea or cocktails, then go to Breakers and if you want a romantic fine dining, and then go straight to the Oasis Pool Bar. The hotel is just 25 kilometers from the Brisbane International Airport. The Henry Jones is the only dedicated art hotel in Australia. The hotel will give you an environment where you can appreciate and enjoy art to a whole new level. The Henry Jones Art Hotel is totally committed to offering its guests exposure to the sophisticated art given luxury at its best. You will find works in all the guest rooms. The hotel also offers the best Tasmanian food and wine. You can select to dine outside in the contemporary style and al fresco experience. 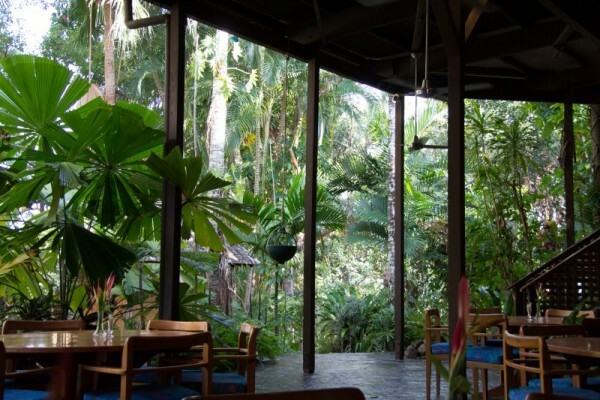 The Henry Jones Art Hotel is our favorite in the list. And we are sure you will love it too. The beautiful Surfers Paradise Marriott Resort and Spa is a unique hotel in Australia that offers five-star services, coupled with exemplary service. The 8 million dollars aquatic playground is the centerpiece of the resort. 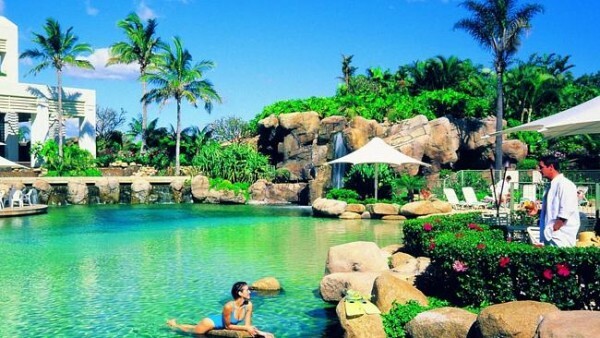 The playground includes lava tube, freshwater pool, poolside day beds and a 5 five meters deep saltwater lagoon. The resort has 329 suites and guest rooms, and all the rooms have a contemporary look with neutral colors. Even the furniture in the resort has a modern Queensland coastal charm. The Presidential Suite, located on the 28th floor is the epitome of the Queensland charm. And the Elandra Retreat Club on the 27th floor offers stunning views of the Pacific Ocean. If you love being surrounded by the beauty of nature, then Echoes Resort Blue Mountains must be your pick. This spectacular resort, overlooking Jamison Valley in the Blue Mountains, offers a whopping 200 plus rooms. The spacious rooms are filled with opulence and pay homage to its natural surroundings. So it is the best place to absorb the culture of New South Wales. The dining venues of the resort entwine the gourmet cuisine with the indigenous flavor. And the spectacular mountain setting and fantastic meeting and banquet facilities will give you a memorable holiday. You can also select this resort for your marriage venue. Cape Lodge is one of the smallest luxury hotels in Australia. It was also voted as one of the top 100 hotels in the world. Cape Lodge is designed for travelers who want a sophisticated seclusion. The hotel is located 3 hours from the south of Perth, right in its vineyard. 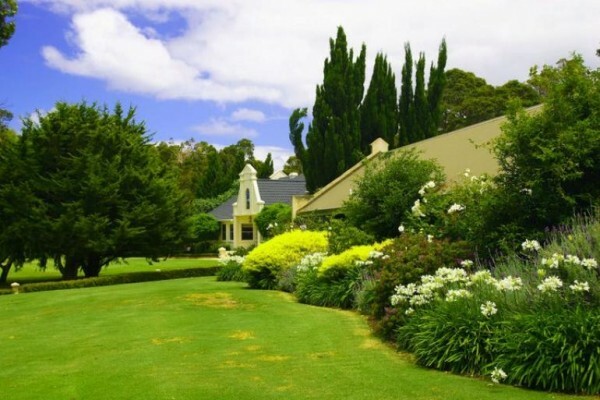 It is surrounded by some of the excellent wineries like Moss Wood, Cullen, Piero and Vasse Felix. The beauty of this place is just striking. It has pristine beaches and majestic karri forests that add to its overall value. The hotel has 22 secluded rooms and suites. The magnificent Private Residence, sitting on 3 acres of land, is a striking attraction here. 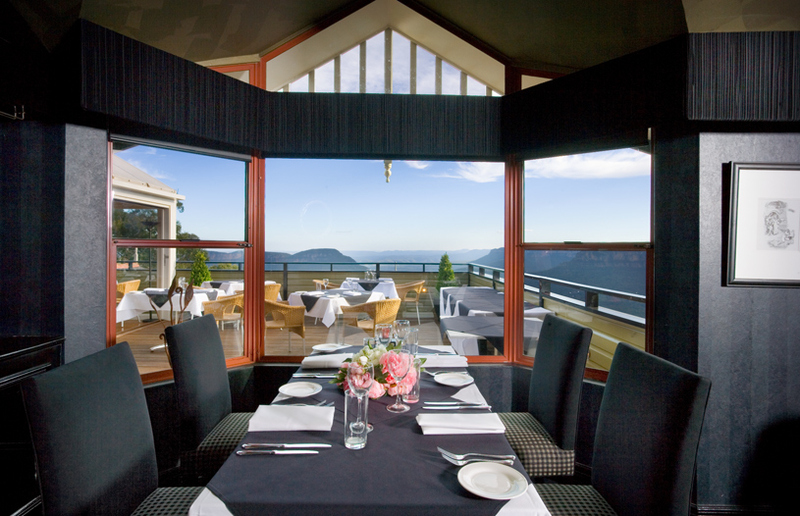 Even the Cape Lodge Lakeside Restaurant offers some of the finest dining options. The temperature-controlled cellar here has premium back vintage Margaret River. 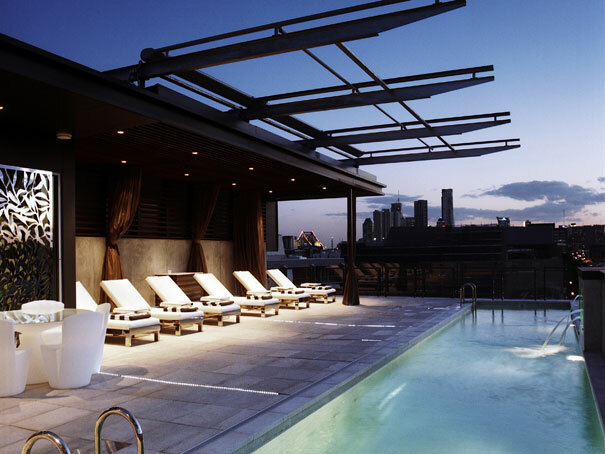 The Emporium Hotel Brisbane is the first authentic luxury boutique hotel in Brisbane. 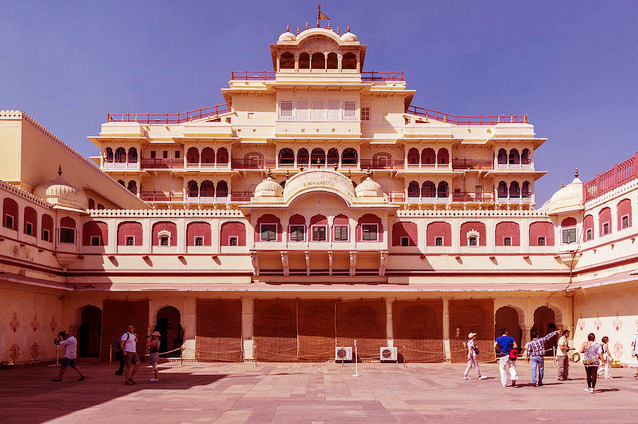 It opened its intricately designed doors in June 2007 and has, ever since, captured the imagination of the travelers. The place has been bestowed with local, national and international awards. The hotel has 102 rooms, all custom designed. All the suites have 106-inch plasma television, personal spa bath, in-suite launder, and marble kitchenette. To make your stay more pleasing, the hotel offers easy Molton Brown Bathing therapies right from England. It includes Emporium bathrobes, matching slippers, and exquisite sleep pillows. Pick any hotel you and we’re sure you won’t be disappointed. Which is your favorite hotel in Australia? Tell us by commenting below.